Digital technologies that cover basic or fundamental human needs have matured so much that their diffusion crosses 80% of the population in many countries. Alas, competition in the marketplace, in B2C or B2B, continues to heat up across practically all industries. No time to read a full book about design sprints? See our 101s below. There is a plethora of reasons for why projects don’t turn out to be as great as was initially thought. Building the right product to win in the marketplace is hard. It has to be. If it would be simple, competition would be so fierce that few companies would see a decent return on their investment. Luckily there are methodologies that improve, speed up or shorten the way to launch successful products the market wants. The design sprint is such a methodology. Which Design Sprint 101 is for me? So, your team wants to run a design sprint and involve you for more than just an hour or two. Well, are you convinced that the sprint will help your team and your company? If yes, jump to the next section. If not, this is for you–continue here. Why do they want to run a sprint and spent five consecutive days? Well, the design sprint has gotten very popular, in part, because the format originated at Google. Google is a successful company, so, other companies (especially those that are not so successful) want to imitate the big guys. There is nothing wrong with that, since in the end, things that work, evolve. Things that don’t work, will falter. Apparently, the design sprint works. Furthermore, if you have seen or heard about a similar method, called design thinking, before, a design sprint is similar. Now, design thinking, typically, focuses on (user) research, discovery and learning more than it does on execution of what was uncovered by such research. Not a design sprint. However, the design sprint is to a large extend old content in a new package. But this new package does certainly have value. So, don’t brush it off just yet. 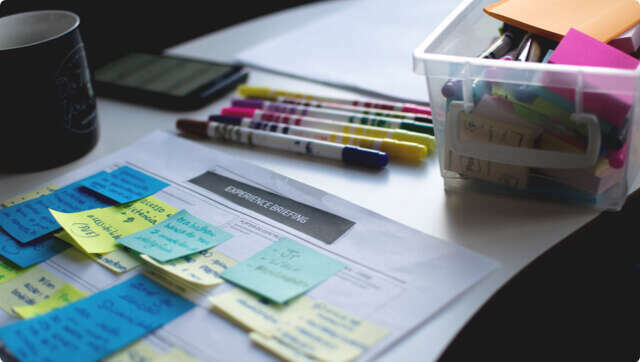 The design sprint offers both, research and execution, in a very concise, collaborative and compact format with real user input - typically five days from start to finish. The timeframe can be shortened or lengthened (to some extend). Less time to spend? That does sound like great news, doesn’t it? The cycles’ length can be adjusted to the needs of your company, and availability but, mind you: The format originated as is because five days really work best. Hence, changes to the timeframe have their disadvantages. What about other benefits for us? Well, as you may know from your own company, many companies don’t do enough ethnographic (user) research or user testing. Why? Because it’s easy not to do it. Further, don’t we all think that we already know a lot about the topic/product or business at hand? So what gives. A design sprint allows half a dozen of your people to do hands-on, dirt cheap, user research in just 1-2 days. On the other hand, imagine you give your OK for some grandiose user research to some outside agency for execution. Which initiative will take less time and is less costly? There you go. Your team also gets the added benefit of being exposed to the learnings themselves. All knowledge and learnings will remain in your company. Last but not least, such a initiative has the potential to reduce resource investment for exploration of ideas and concepts. You care about metrics and would ideally like to measure any design initiative as well. 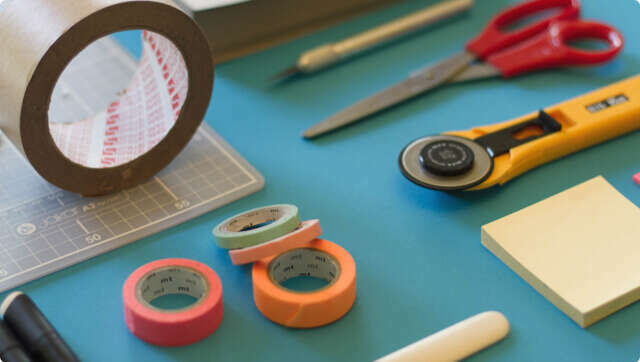 Design sprints often validate or invalidate ideas quickly, cheaply and early in the process. Therefore, a good way to measure such initiatives is the ratio of ideas validated (or invalidated) to ideas generated. The great aspect about design sprints is that your core team decides on the best idea and executes on it quickly. How often does you company execute, test and explore the ideas generated with real users? If you would take Geoffrey Moore’s book to have “just” 1 great product per decade (~ great idea), your company would end up with 25 great ideas per decade. Nothing to sneeze at. Of course, that does not relate into 25 hugely successfully businesses. We do the numbers: if we would take your experience that assumes that roughly 95% of companies go bankrupt, your company could have 25 x 5% = 1.25 successful products or businesses. Want to give your team a GO and make sure they get up to speed from the get-go? Partner with us! We assume you or your team have already decided to run a design sprint. And, they have decided that you will be the faciliator. Great! This 101 is for you to execute a successful sprint. It won’t tell you why do a sprint but what and how to do it, as well as and sometimes more importantly, what not to do. Projects last as long as there is time for them to last: Deliberate tension across the sprint days will lead to the best results, e.g. a clear start and finish for each day and time-boxed exercises get the team engaged and excited. What phases do I need to prepare for? 5 days? It could be shorter or longer? It is possible to reduce the time from five to three because full team only needs to be present for the Understand, Diverge and Converge phases. Prototyping and testing can be handled by a smaller set of people as the testing sessions can also be recorded. Any subtle modification from 7 hours a day to 5-6 is possible but we don’t recommend to go below 5. Also, extending to 8 or 9 hours because the team wants wrap up the sprint in 4 instead of 5 days is not recommended. As they say, “failing to plan is planning to fail”. Preparation isn’t everything but it almost guarantees a smooth ride across the 5 days of the sprint. Though, don’t be too German in your planning and execution and allow for flexibility. Who’s the team? In smaller companies that may be super clear, in bigger ones it may not. Touch base with colleagues across the organisation to determine who can contribute to the sprint outcome best. Any person should have skin in the game to achieve the best outcome. In a client / customer relationship, the client should of course join the sprint. Set the scope: Don’t so this alone. Ask your sprint team members for help on this. What’s the expectation and goal for the sprint. Don’t set it too broad, nor too narrow. Most importantly to kick off early: Reach out to potential candidates for the Monday interviews. Decide whether you need to set up Discovery interviews ahead of the sprint. Do not invite the same interview candidates for Monday, the first day of the sprint. Research, reach out and invite 6-7 seven users or customers for Monday. Each interview shall last been 30-45 mins. If you happen to not find 6-7, reduce the number and increase the interview duration. Dot stickers: Use them for voting. You want something small with a few colors. Red/yellow/green are recommended. Adhesive putty: To stick things to the walls or windows. A time timer! You can surely use a mobile phone for that purpose but we believe the time timer is way, way better as everyone can see the available minutes, at any time, from anywhere in the workshop room. The technical “challenge”: If you happen to work in a bigger company, your company will surely have a working beamer setup with all necessary cables and adapters. If you happen to move around between company, big and small, it might be helpful to have an assorted set of these cables and adapters, e.g. HDMI, DVI, VGA, Thunderbolt and a mix of various from-to between these hardware interfaces. Ask your team ahead of time for any material that might help the sprint succeed. This could be a list of apps, sites, PDFs, similar products, pitch decks, wireframes, user stories and the like. Organise whatever your team sends you and make it accessible to the team a couple of days before the sprint starts. We recommend only a “couple of days”. If there is too much time between send-out and sprint, the team might either review it way ahead of time and then forget about details, or they simply forget to review the material. We are not a fan of remote design sprints as on-site sessions result in more productive engagements by each and every participant. We have seen remote ones slip due to “small issues” like time zone difference. Your responsibility as the faciliator will center around taking care of your team with breaks, water and food. Help the team when they are stuck, ask Why at all times and always be capturing what your team produces. Keep in mind that a design sprint is a flexible setup. You can add, reorder, skip, shorten or extend but remain sensitive to the time constraints - these are very important. Your job: Guide the team and capture as much as possible. Interviews set for Friday? Trial run the prototype before the day ends! Use the teams expertise to craft a prototype that is not too complex but also not too simple. Be aware that “nerdy prototypes” typically take longer than expected. Take a look at ht assumptions and goals for the sprint, review, discuss and define what shall be build. From 09:00 to 15:00, your team will interview one participant for about 45-50 mins each. Check in with your team for when they want to have have lunch in between. Debrief after the last interview and discuss next steps.